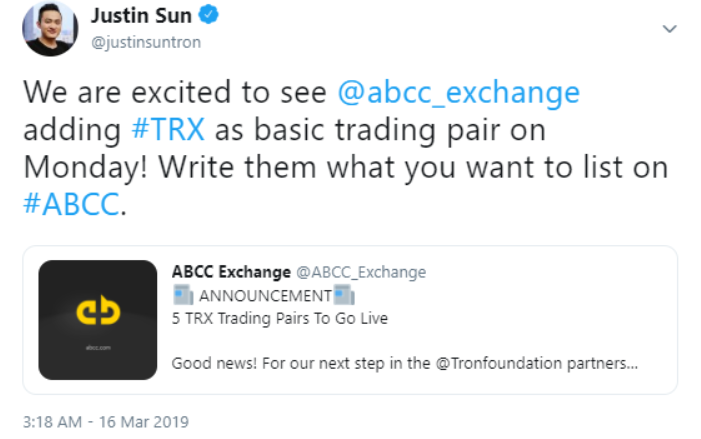 With the addition of TRX as the base trading pair, ABCC users now have 4 different base trading pairs to trade on- BTC,ETH,USDT and TRX. VENA was the first TRC20 token to be listed on ABCC Exchange. This was followed by the listing of BTT and support for BTT airdrop, one of the most hyped tokens in the community. Stable coins have been touted as a key step in pushing for adoption of Cryptocurrencies. 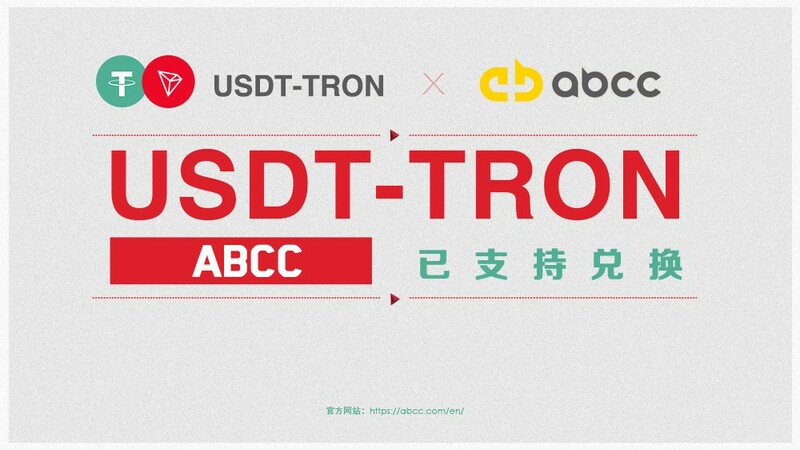 ABCC will support the TRC20-based USDT token jointly issued by TRON and USDT. Stay tuned for the update on how we will support the USDT-TRON incentive plan.